Love your prenatal vitamins! 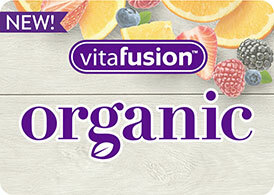 A complete multivitamin, each serving of vitafusion™ PreNatal includes essential vitamins and minerals as well as an excellent source of folic acid and 50 mg of Omega-3 DHA. 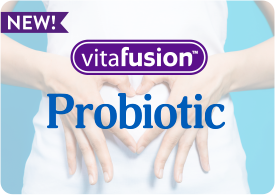 vitafusion™ PreNatal gummies are delicious, and with no iron, they are easy on the stomach. * The high-quality, purified fish oil used in vitafusion™ PreNatal has been tested for mercury and PCBs. Natural Lemon & Raspberry Lemonade flavors.